This weeks theme is candid photos. I take lots of these, but none are spectacular. One of my goals this year is to spend some time learning to do more lifestyle/candid type photography. But, this week I just have a a cute picture of my youngest (almost 3 years old!). He is finally really playing on his own, and not needing me or his older siblings with him all the time. 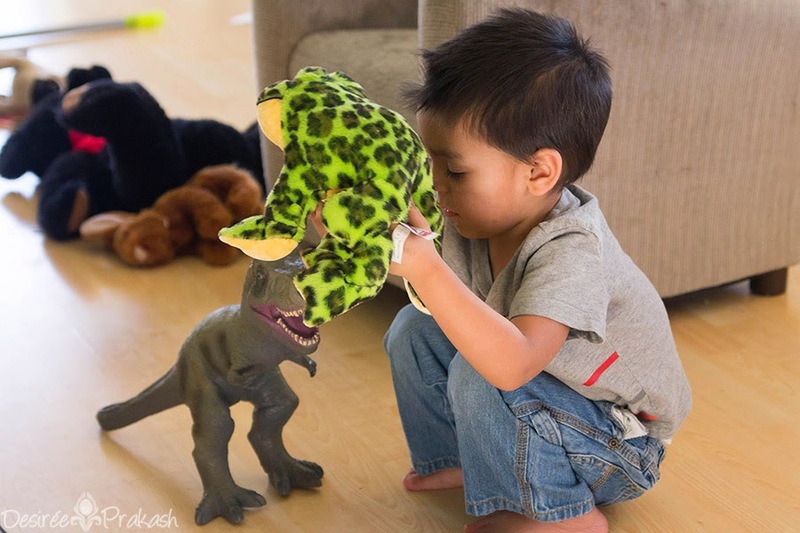 In this photo the T-rex is attacking his ‘froggy’ (he may or may not have seen Jurassic Park about 20 times in the past 2 months).